Each page in the flipbook has two sides. Face the side with the mosquito image in the corner towards you and use the bullets on this side as a discussion guide. 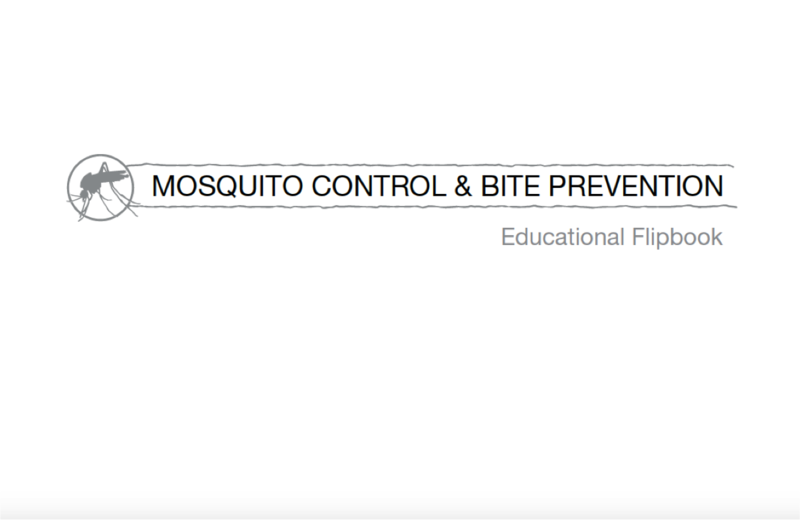 Show your audience the side with the larger picture on it to explain the different methods of mosquito control, and mosquito bite prevention. This flipbook is available in English, Spanish, and Portuguese.